just gota have some auto elec knowlodge. If you have any question about it just send me a pm. You will need 2 relays (4 pin) , one is a fuel pump relay and the other is a efi relay. Positive(+) power supply for injectors when ignition is switched on. Need to connect this red wire to relay pin 30 (this will be the efi relay) via a 30amp fuse (before connection to pin 30 on relay). Connect pin 85 on relay from a ignition on power supply ( a wire that will give positive power when ignition is switched on only) , connect pin 86 on relay to earth, and connect pin 87 on relay to direct battery positive (+) power. So relay should click on and off when ignition is turned on and off. (the computer is designed to only run the fuel pumps when there is oil pressure as a precaution and thats why the violet wire runs through the oil pressure switch) . , connect pin 86 on relay to earth, and connect pin 87 on relay to orange wire on black plug ( this wire goes to oil pressure switch as a direct power from battery) and also you need to join a wire direct from the battery (+) to this pin(87) on relay as well. (so two wires go on the same pin on relay). So relay should click on and off when ignition is turned on and off via the computer. Positive (+) power supply for computer. Connect this red with black trace wire direct to the positive (+) battery power (countinuas power) via a 30amp fuse. No relay required. This will give continuas power to the computer. Fuel pump switch wire from ecu to fuel pump relay pin 85 (read above in violet wire). Will give power to fuel pump relay to switch on and off. A/c relay (not required to hook up this wire anywhere) unless you are running air cond. Oil pressure light, give positive(+) power to a oil presure light in cabin. Does not need to be hook up if you dont have a oil pressure light, or you can just put a small led light on you dash and hook it uo to that. (optional) specailly if you run a oil pressure guage. Coolant tempreture signal wire, this give you a reading on you water temp guage. Best to put a aftermarket electric water temp guage with new sensor, as the vl dash guage will give you a wrong reading with the orignal sensor on the motor. Connect this wire to you reciveing signal on you tempreture guage. A/c switch. (not reqiured to hook up anywhere) unless you are going to connect the air cond up. Tacho signial, hook this wire up to your rpm tacho guage. 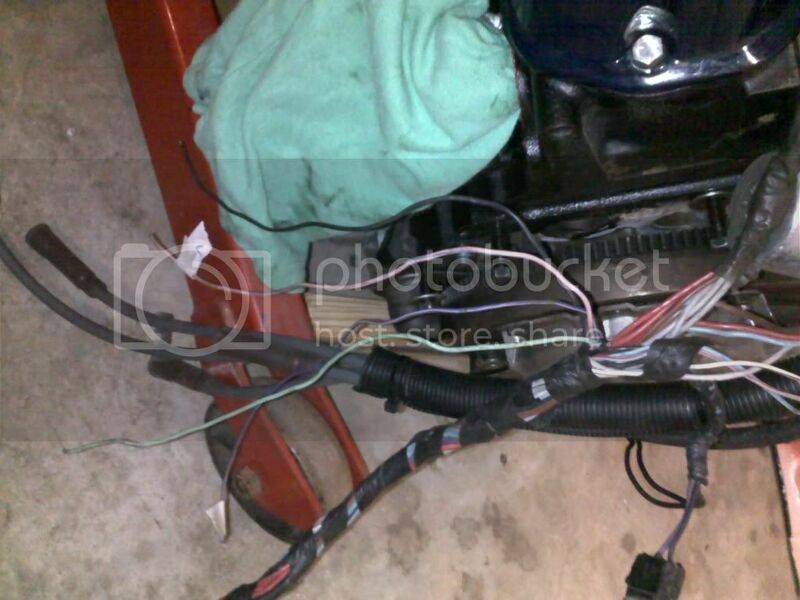 Starter motor solinied positve (+) power supply. This wire need to be hook up to igntion starter, so when you turn the key to start it give power to the starter motor to turn over. Alternator dash light positive (+) output, this wire needs to be connected to a battery light on the dash, otherwise ti will no charge the battery if it is not hook up to a battery light. Check engine light negative (-) power output. 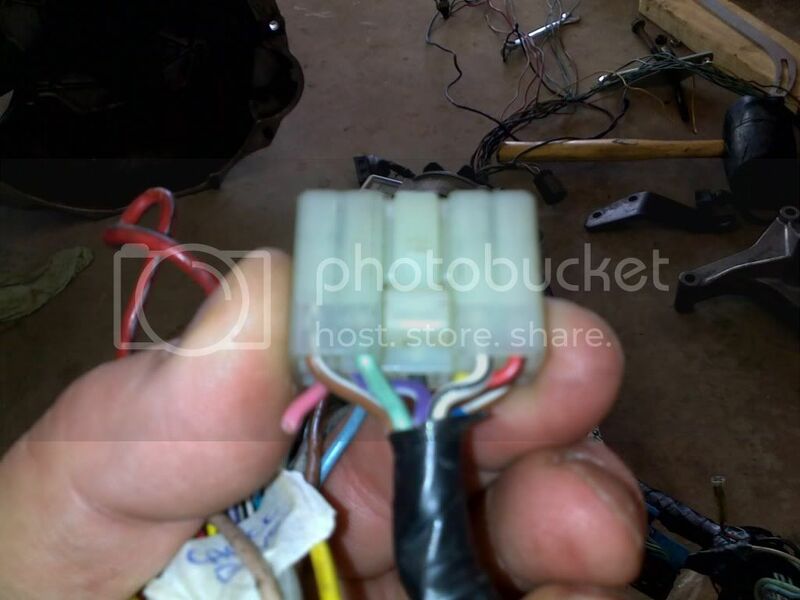 (must connect) connect this wire to a light somewhere on you dash to negative wire on the light and the positive wire from the light should be connected to ignition on power. To trip computer. (not required to hook this wire up anywhere). Inhibitor switch, negative (-) power input. This wire needs to be connected to you inhibitor switch on your gear stick so the computer knows when it is in park on netural. If the car is manual than this needs to be earthed out to negative (-) continuasly. start unless this wire gets a positive power supply. Auto transmission tempreture switch/ 4th gear. (not required to hook up any where if not running a four speed transmission). This is all thats needed to do and the car will start. If you have any problems just let me know, and i can help you out. good stuff mate, good detailed write up. yeah thanks mate, i done all the research when i done the conversion, but never found anything useful online to help me with my wiring, so i thought it would help every one out there looking at doing a conversion. Any chance you know what the go is in regards to the VSS. I'm putting a T400 behind mine, into a hilux and I was wondering what the go is with the VSS, is there a way around this??? hey mate nice write up. you will not be able use the microtec loom anyway. you will have to use a vn v8 efi loom with the vn computer, so it doesnt matter if u already have a microtech. all the 6cly engine loom will have to come out with the microtech. well i followed some parts of this tech write up but no fuel pumps priming..
any one got a wiring digram for vl efi6 to efi v8? good write up man, just wanna add three things to this thread off the top of my head. pin 30 on a relay is the supply and pin 87 is the load. although it will still work the otherway around as they are just a set of contacts, the standard for wiring a relay is pin 30 supply and 87 load. This will make problem diagnosis easier down the track. It also says to put a fuse in between the relay and the load, this doesnt completly protect the circuit. The fuse should be the first thing in the circuit from the battery to pin 30, that way all the wiring from the battery to the relay and all the way to the load is protected. Last thing is the oil pressure switch doesnt inhibit fuel pump operation in the event of oil preassure loss. it is there incase the fuel pump relay becomes faulty, the engine can be cranked and when oil preasure is raised, the switch closes and runs the pumps. To test this, unplug the oil pressure switch and it will still start and run fine. Or disconnect the fuel pump relay and crank the motor, when the oil pressure light turns off the fuel pumps will turn on and engine will start. hey all.i have folowed this wiring diagram. my car cranks over now. i have problems with this part it doesnt work unles you bridge the violet wire mentioned up the start of this diagram.it cranks over with the pink wire hooked up but fuel pump only works when you bridge it to pink wire and now fuel pump primes constantly.how do i get it to work normaly? Can Some one get Some Wiring Pix Up on this ? I'm not sure what is what as the colours don't correspond to what you have. The wires are: purple with white, green with blue, pink with blue, black, and brown. I think the purple with white wire may be for the starter motor and the brown one goes to the coil or tacho. Any help with these would be appreciated. I would think that if it still runs after you have turned off the ignition that something isn't quite right. From memory the ecu runs the fuel pump when the ignition is first turned on. Have you wired the fuel pump relay with the switch from the ecu? It should be the green with white trace wire. yeah mate, that is normal, it does it to my car as well, once you switch it off it will run for a sec and then cut out. thats just how the ecu is programmed. on some ecu`s it does it and some it doesnt. so no need to worry about it. Hi I was just wondering if this wiring would be the same for a VR 5LTR with a 4L60E box or do you know how to wire up using this box????? so would it be ok to use the vl straight 6 body loom with the vn v8 engine harness when im putting my vn 304 in a vl excecutive?? I kept the body loom in my VL and just hooked up the appropriate wires for the gauges. You will get to know wiring diagrams well! pretty much the same. check your loom out and see if the colours match.